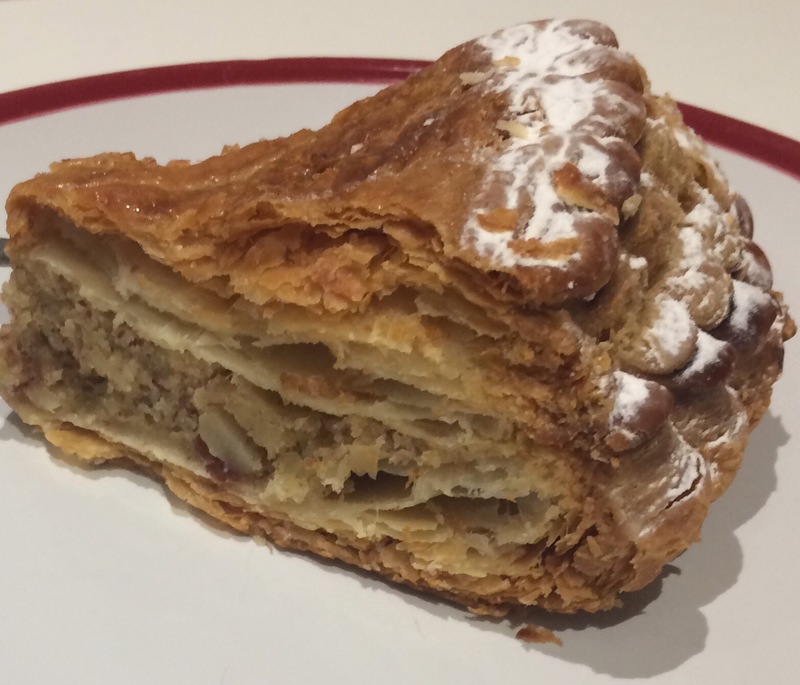 For a country that has more bakeries than anywhere else in the world (32,000 at the last count), France can definitely hold its own on the pastry front. 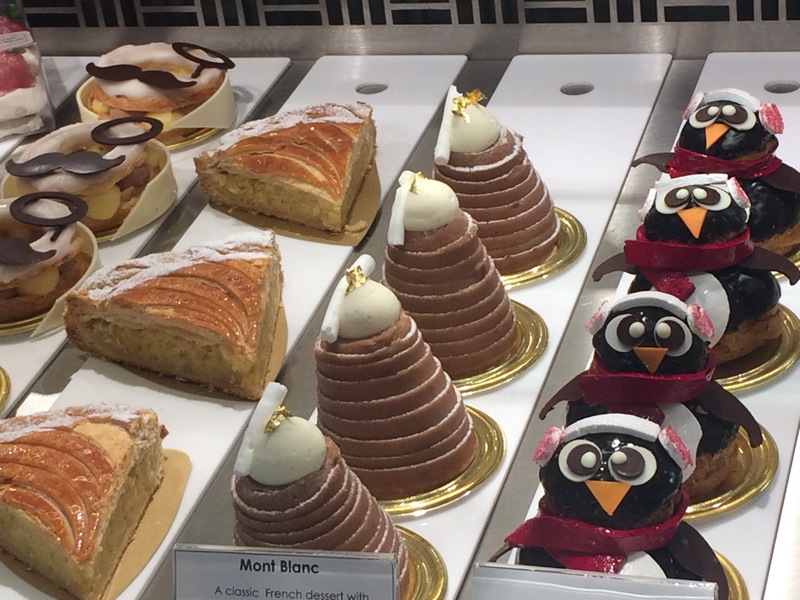 From golden croissants and feather-light brioche to fruit tarts covered with plump berries and slices of Opéra cake finished with a glossy chocolate glaze, there’s a heck of a lot to choose from. 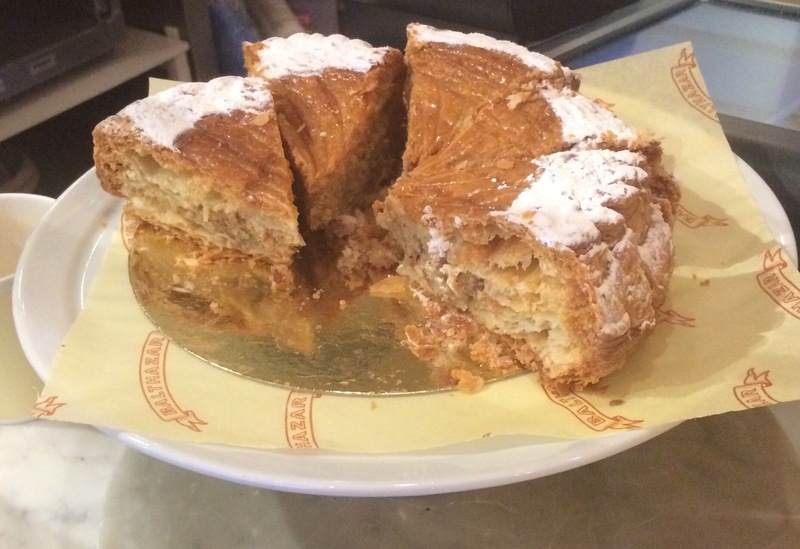 And luckily you can now easily get your fix of French pastries in Britain. Hallelujah. 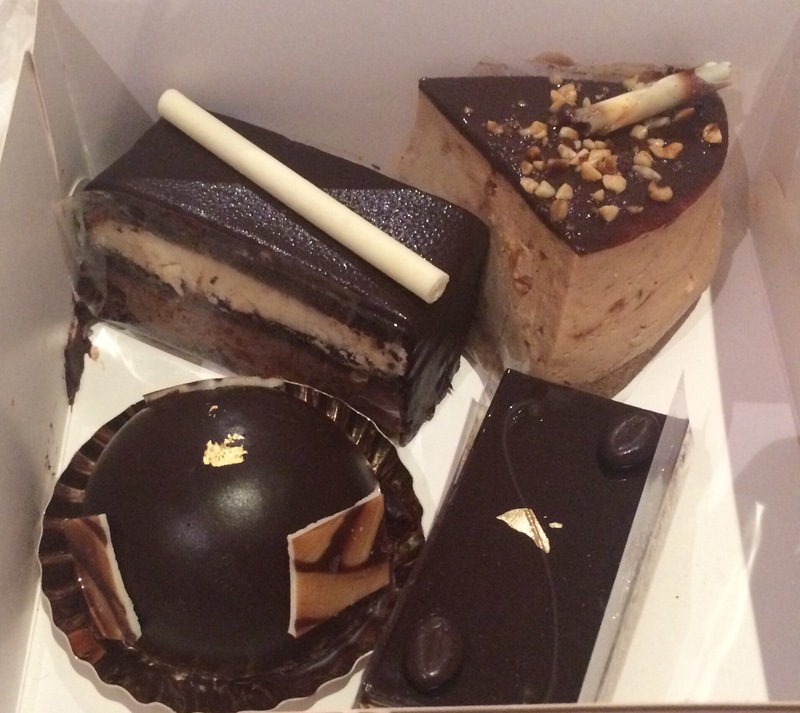 Founded by a Frenchman in 1871, this is officially London’s oldest pâtisserie. It’s also got an art gallery upstairs, if you fancy browsing some paintings while nibbling on their insanely good pastries. Try their (huge!) croissants or the amazing fruit tarts! Opening times: Monday to Friday 08:30 to 22:00, Sunday 09:30 to 20:00. 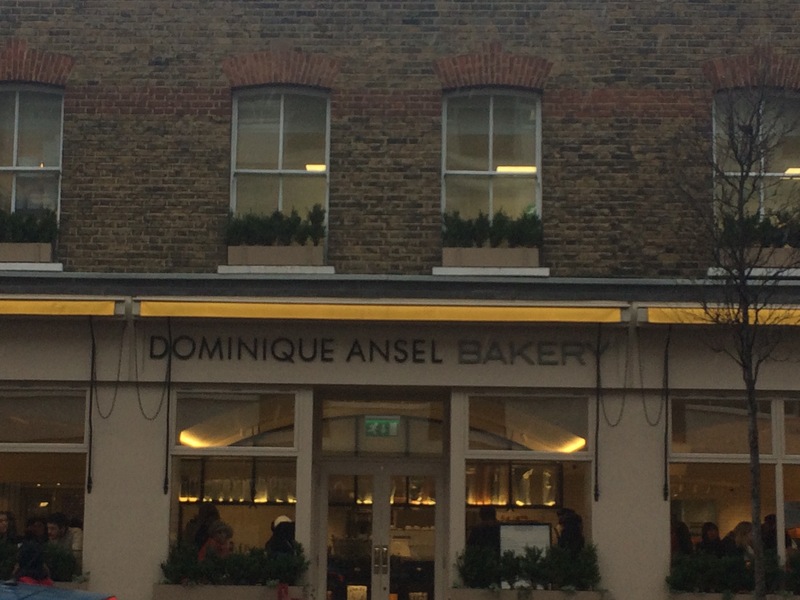 The pâtisserie god who invented the ‘cronut‘ is the brains behind this fab bakery right next to Victoria coach station. 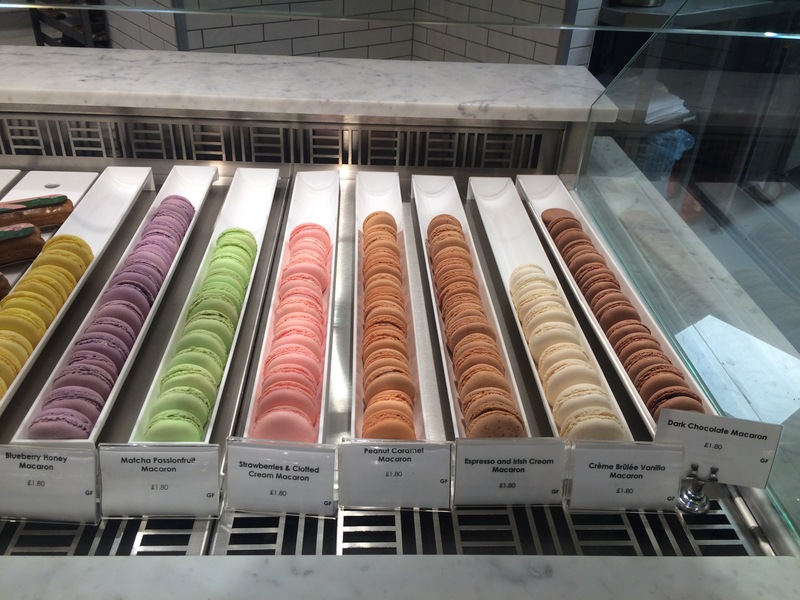 When I visited, there was a huge queue of hungry customers outside, all waiting for – you guessed it – cronuts. Ansel’s speciality is reinventing French pastry classics, whether it means flavouring croissants with Welsh Rarebit or updating the Paris-Brest with lemon curd, blackberry compote and oh-so-English Earl Grey mousse. Opening times: 08:00 to 20:00 all week. 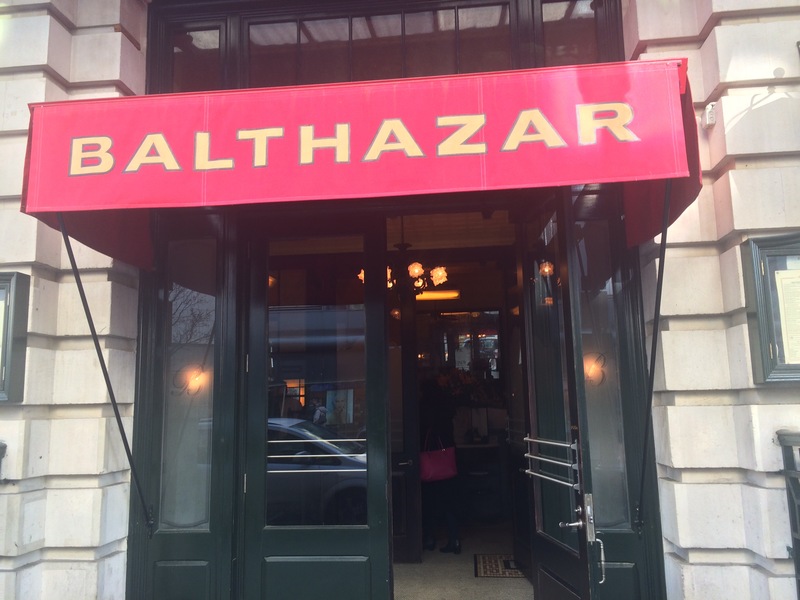 Just like Dominique Ansel’s bakery, Balthazar is a New York institution. It finally moved to London in 2013, setting up home near Covent Garden. 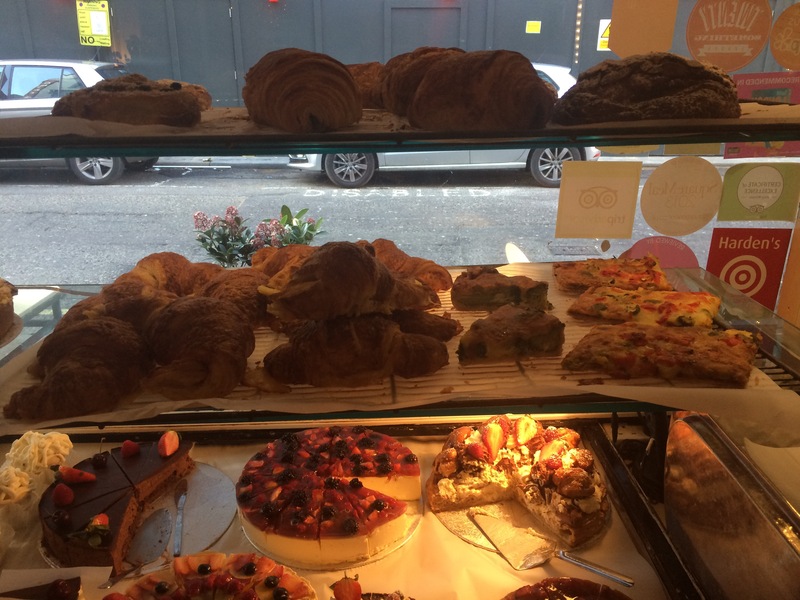 Whilst Balthazar is probably best-known for its restaurant, which serves French brasserie-style food, do visit its bakery next door. 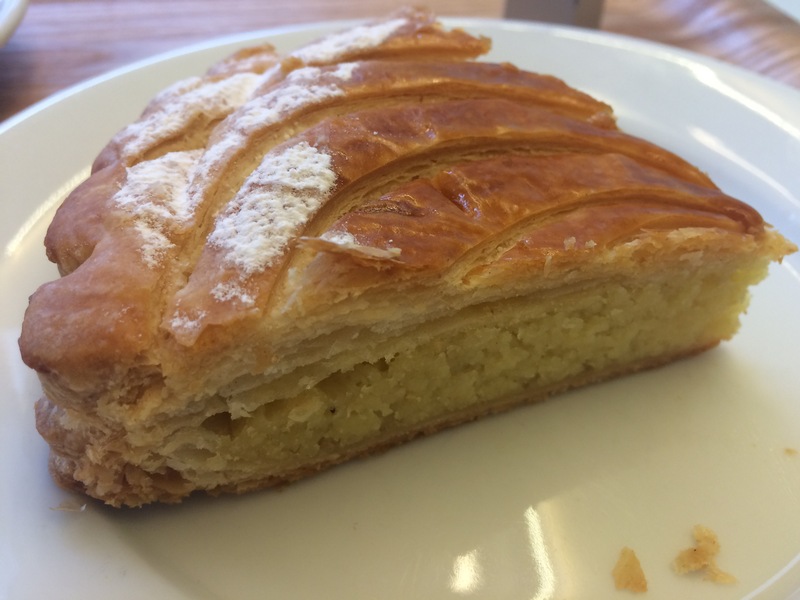 I had a slice of their lovely galette des rois (a puff pastry cake filled with almond cream that’s served in France every January to celebrate Epiphany), which they’ll be serving until 9th February. Hurry to get a slice before they put it away again for another year! (Top top #2: just a heads-up that the restaurant also serves duck shepherd’s pie. Also recommend you try that before I make a reservation and scoff the whole lot)!! Opening times: Monday to Friday 07:30 to 00:00, Saturday 09:00 to 00:00, Sunday 09:00 to 23:00. If you’re looking for a slight variation on traditional French bakeries, this café offers Japanese-inspired French pastries and desserts like sesame-infused cheesecake and matcha tea-flavoured choux buns. 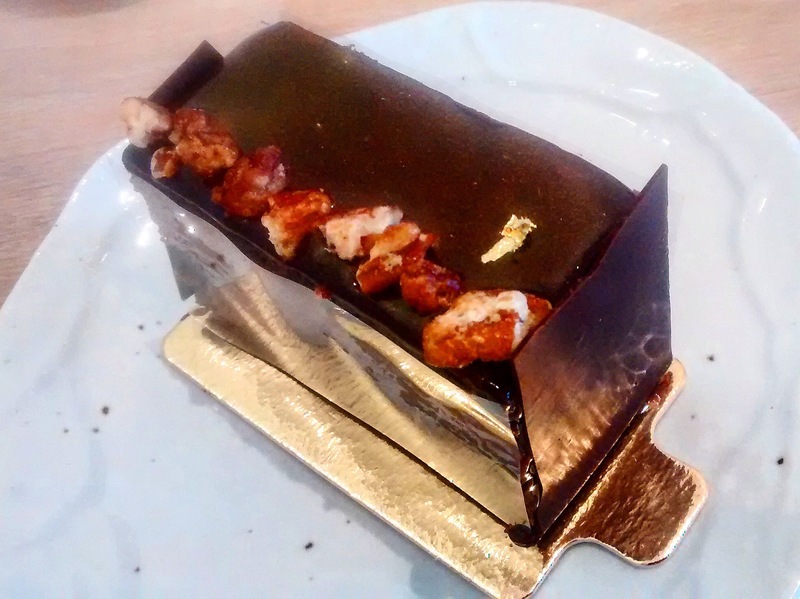 Check out my review of the café here, and their website. Opening times: 08:30 to 18:00 every day. Just a few metres away from Dominique Ansel, also reviewed further up in this list, lies Poilâne, another little oasis of Frenchness. 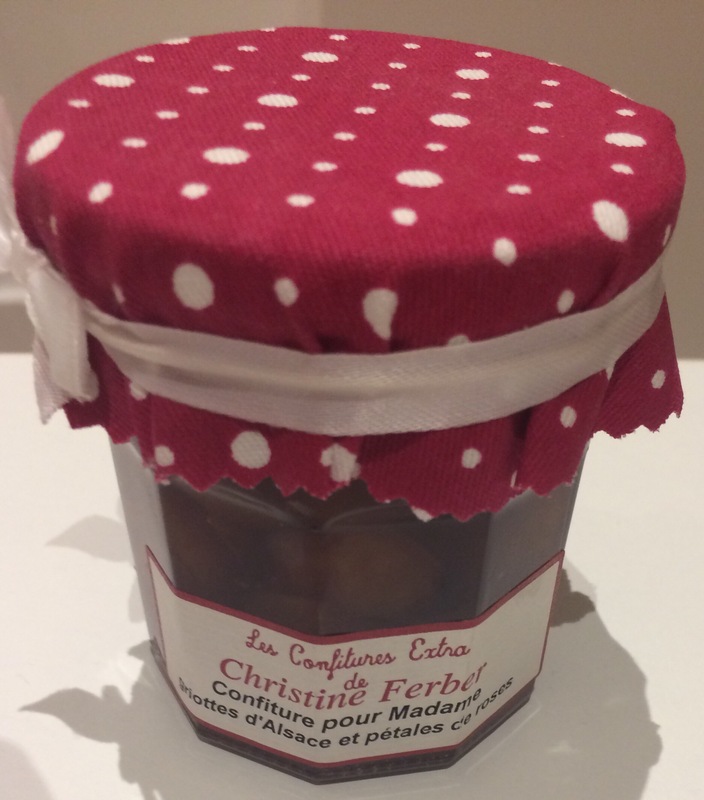 Come here for a perfect morning baguette, and top it with the most delicious jam you’ll have ever eaten (made in Alsace by Christine Ferber, and sold here). Opening times: Monday to Friday 07:00 to 19:00, Saturday 07:00 to 15:30, closed on Sunday. 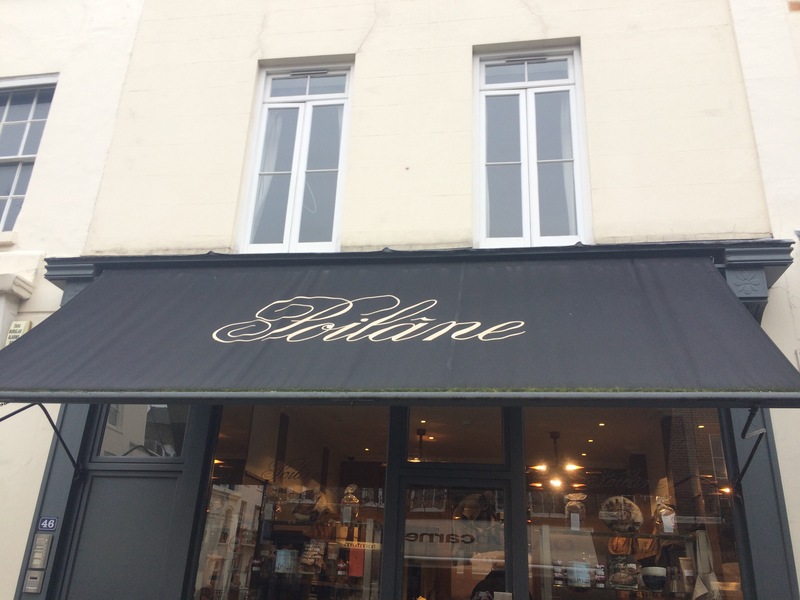 Set up by Yvon Coignard, who trained as a baker in Normandy before coming to Britain, this bakery is seriously amazing. 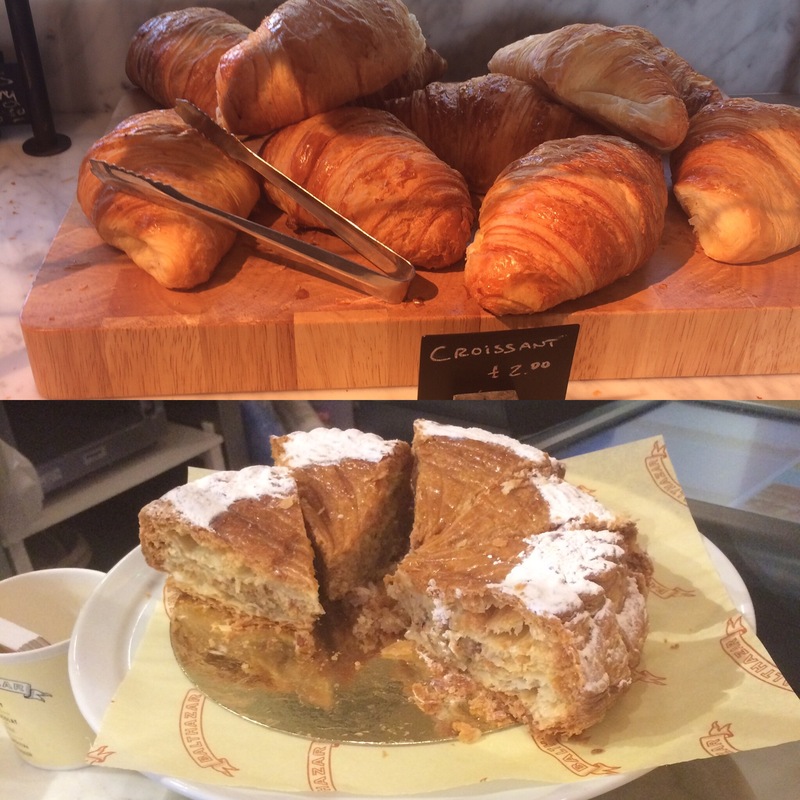 Make sure you get there early in the morning for their baguettes fresh out of the oven (and one or two of their almond croissants)! Opening times: Monday to Saturday 08:00 to 17:00, Sunday 09:00 to 17:00. How about you? 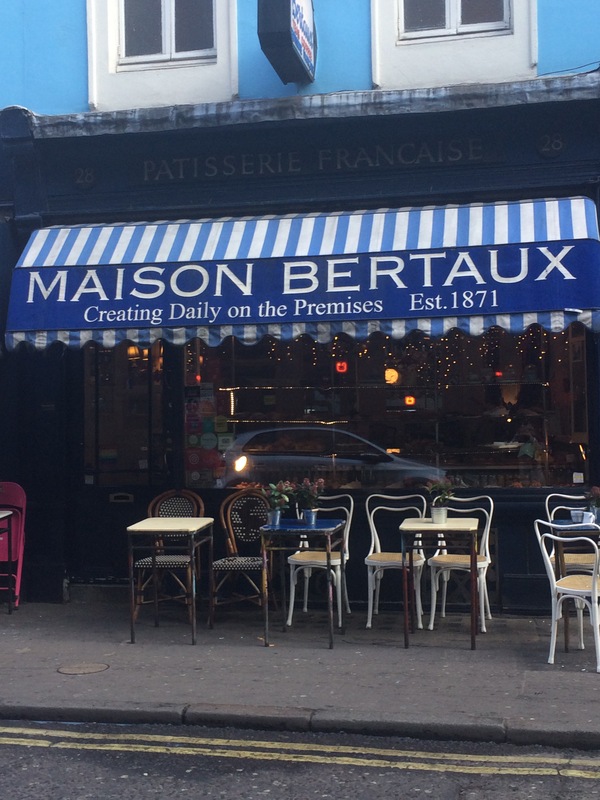 What are your favourite bakeries in London and around Britain – French or otherwise?? Let me know in the comments below – I’d love to hear what you think! the great info you have right here on this post. I will be returning to your website for more soon.